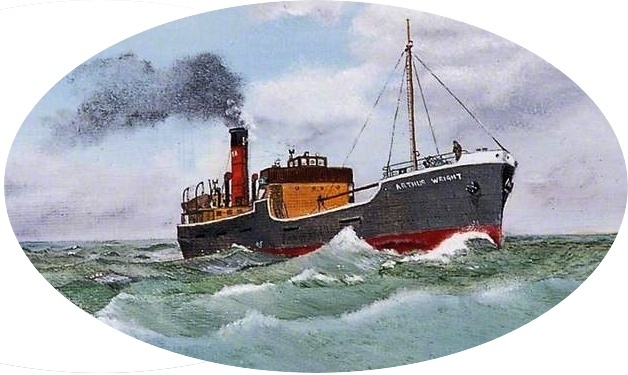 The SS Arthur Wright was built by William Pickersgill & Sons at their Southwick, Sunderland yard in 1937 for the Brighton Corporation. It was a 1,097-ton vessel, the Corporation’s first collier, and used for conveying fuel to the electricity works at Portslade. Named after the first (1894) manager and engineer of the works (he also designed the first domestic supply meter) the Arthur Wright carried coal mainly from the Yorkshire and Welsh coalfields via the ports of Goole and Port Talbot. 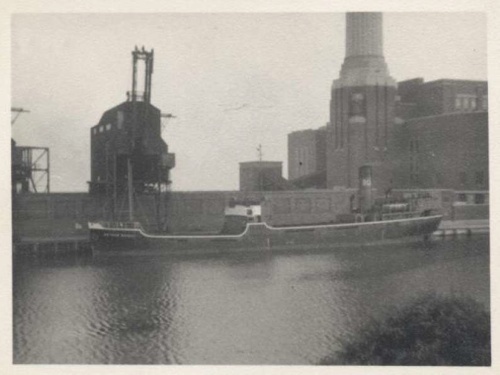 Voyages to and from either port took three days on average, the vessel making the trip about fifty times a year and allowing for the two days needed to unload its coal cargoes (one record shows it delivering 1400 tons on one trip) it would have been a well known sight at the power station dockside. These journeys continued unabated despite the onset of war but there was a brief interruption on the 10th June 1940 when the vessel took on a mysterious cargo of ‘military stores.’ Then, on the 15th in company with the Fermain, Firecrest, Nephrite, Obsidian & Ravona from Newhaven the Arthur Wright was ordered to sail to Brest ‘with all despatch.’ This was ‘Operation Aeriel’ – the Dunkirk evacuation had ended but troops were still being rescued from various ports on the west coast of France. The Shoreham ship though is shown at Plymouth the next day, perhaps to unload its military stores, then again on the 18th. The evacuation from Brest was undertaken on 16th and 17th June so the Arthur Wright’s Plymouth dates either side fit in well with this. 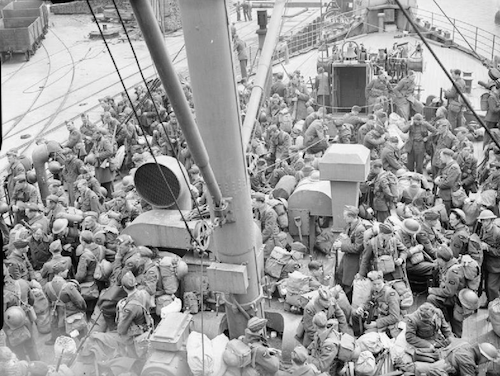 It would have been part of a large flotilla of ships including the troopships Arandora Star, Otranto, and Strathaird that collectively rescued 28,145 British and 4,439 Allied personnel, mostly RAF ground crew. 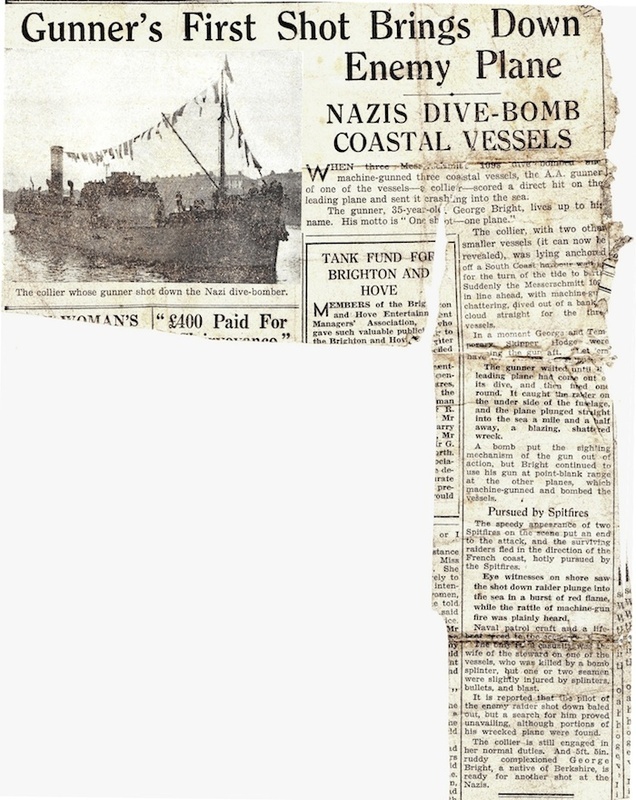 Records show that Brest was bombed during the operation but the evacuation was largely carried out without any major interference by the Luftwaffe (at Brest if not elsewhere) and were landed at Plymouth. The second took place on the 8th March 1941 between the Lizard and Falmouth during one of the runs from Port Talbot but again the Arthur Wright escaped damage. 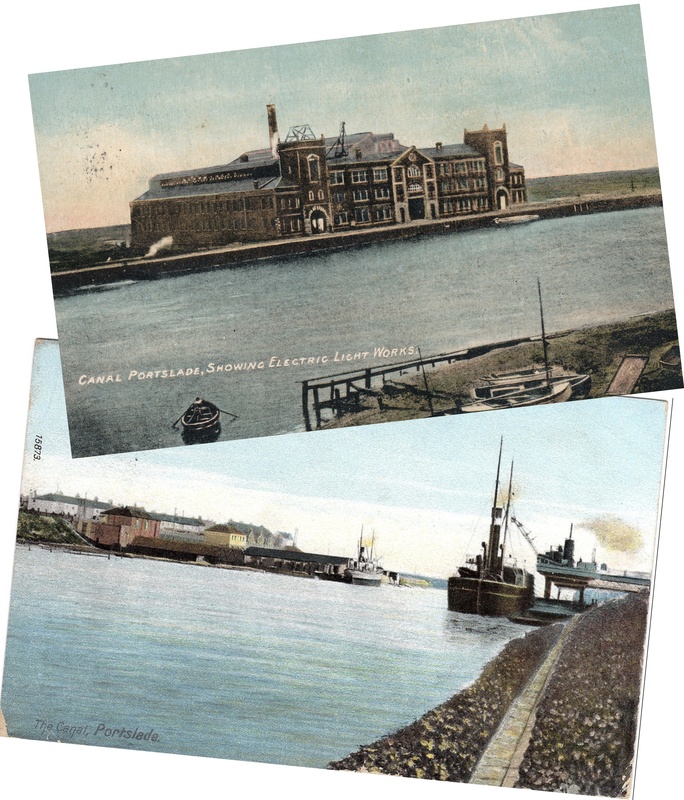 It was that same year though that the vessel’s most memorable episode took place and this first hand account of the action by Sidney Davies who had just rejoined the SS Arthur Wright:- “After a good laugh and a few beers in the Dock Hotel, Port Talbot we sailed for Shoreham. It was a lovely Saturday afternoon, lying off anchor waiting for a pilot to take us into harbour. 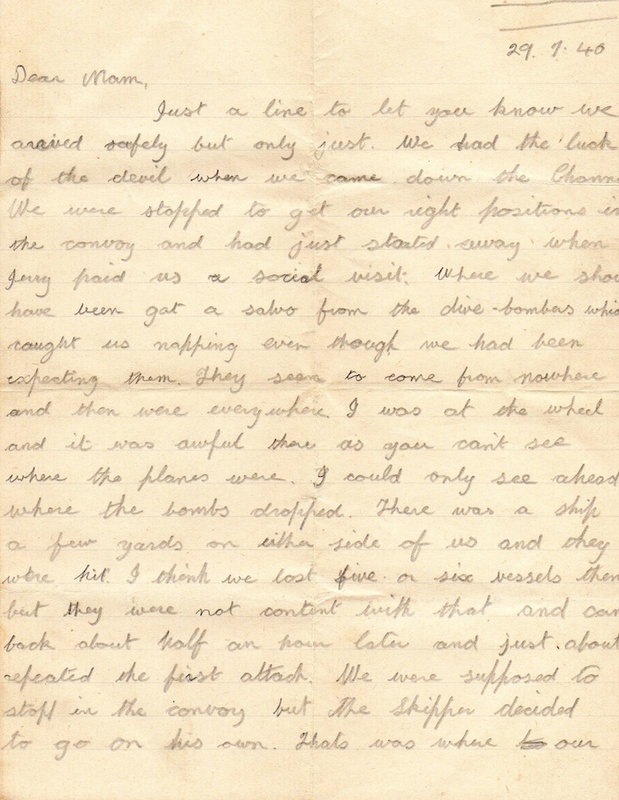 The air raid siren, warning of an imminent attack, sounded across the water. Suddenly, three German aircraft came roaring past us at just above sea level. The D/S Ala, at anchor about a hundred yards away took a direct hit from a bomb and immediately blew up. The attack took place at 16.30 hours on the 17th May against the Arthur Wright, Ala and a third ship with them, the SS Botney. The Shoreham ship had been holed by cannon fire, internal fittings were destroyed and the gun was totally wrecked. The Norwegian ship D/S Ala did not sink and was beached just west of the harbour. Sadly the steward’s wife Rebecka Hansen had been killed by shrapnel and was buried in our municipal cemetery. After repairs the ship was taken in tow to Southampton. There were no anti magnetic wiping facilities at Shoreham and it appears that the bombing on May 17 had made the ship magnetic again as just off Bognor the Ala set off a mine and was sunk. Thereafter the coal hauling convoys and unescorted voyages continued with no further recorded action involving enemy activity until June of 1944. Following the D-Day landings a massive operation to supply our invading troops began utilising all available merchant ships. This part of ‘Operation Overlord’ (the Battle for Normandy) was codenamed ‘Operation Neptune’ that began with the arrival of troops on the beaches followed by the supply ships. Coasters, of which the Arthur Wright was one of a total of 362 that were used, were ideally suited to maintain a constant supply of ammunition, fuel and general stores to the Normandy Beaches. The convoys were marshalled through a ten-lane corridor that had been swept of mines known as ‘The Spout’ that ran from south of the Isle of Wight to Seine Bay – the bay in which the various Mulberry Harbour sections were constructed at each of the invasion beaches. 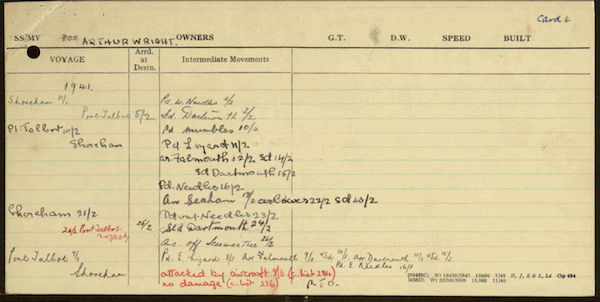 There are some conflicting dates between the Arthur Wright’s movement cards and the records of the invasion beach convoys but for the Shoreham vessel most started at Southend and the Arthur Wright’s first journey to France was in mid June when only the return voyage is recorded from Seine Bay on the 16th June arriving at Southend on the 17th. 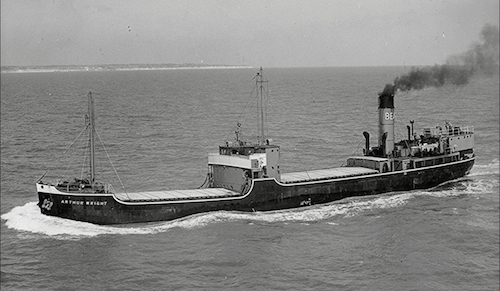 There were to be five other Seine Bay convoys for the Arthur Wright from July to September although the Shoreham vessel may have left the convoy for some of them as it passed Shoreham. Most of these involved 20 to 30 merchant ships, initially with four escorts but these reduced to one by the end of the period as the main fighting moved further away into mainland France. The duration of stays for unloading whilst there was two days and one of the Arthur Wright’s return convoys consisted of 44 ships that included the damaged USS Kiowa being towed back for repair. After the war ended the less eventful, routine peacetime voyages resumed although on May 24, 1953, one particularly memorable event took place when the vessel rescued 38 crew of the Andaman that had collided with the Fortune in thick fog and sank. 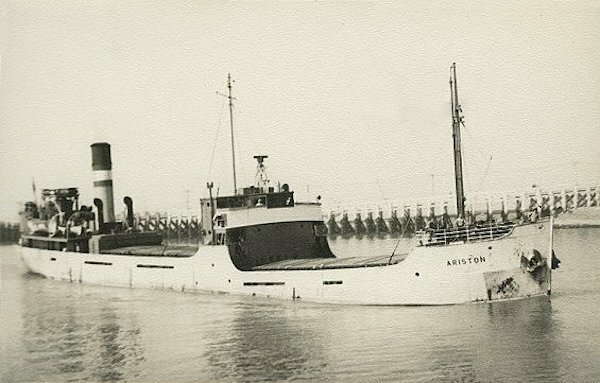 Eventually after 21 years service with Brighton Corporation the vessel was sold in 1958 to the Norwegian company Ivar Olsen of Oslo and renamed Ariston. 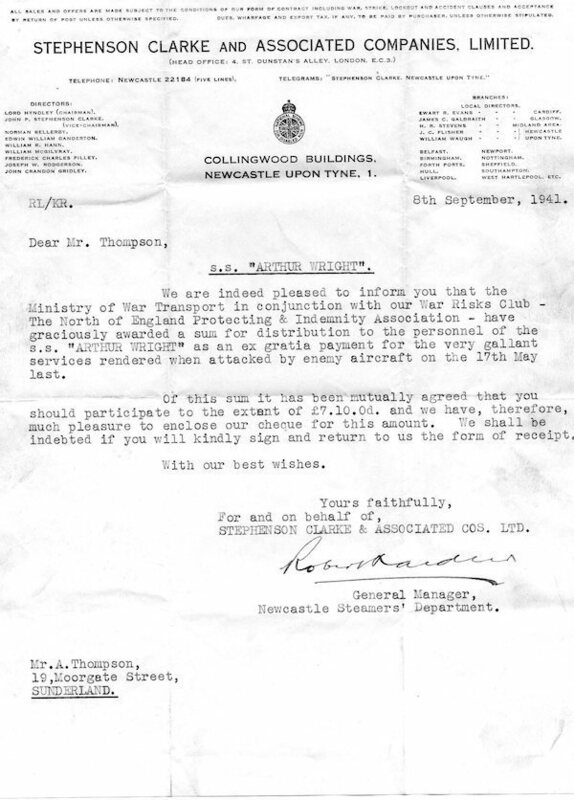 Nick Thompson for Alan Thompson’s letter, certificates of discharge, 1941 award letter, newspaper article and the Arthur Wright’s movement cards. 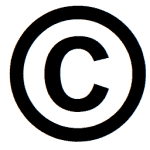 Doug Attrell and Gerry White for additional research. ‘A View from the Merchant Navy 1941 – 1943’ by Sidney Davies from the book ‘Destroyer’ by Ian Hawkins, first hand accounts of WW2 sea action (although the date is incorrectly stated as January 1943). The Sunderland site http://www.searlecanada.org for more information on the Arthur Wright. Imperial War Museum for the image of RAF personnel being evacuated from Brest. 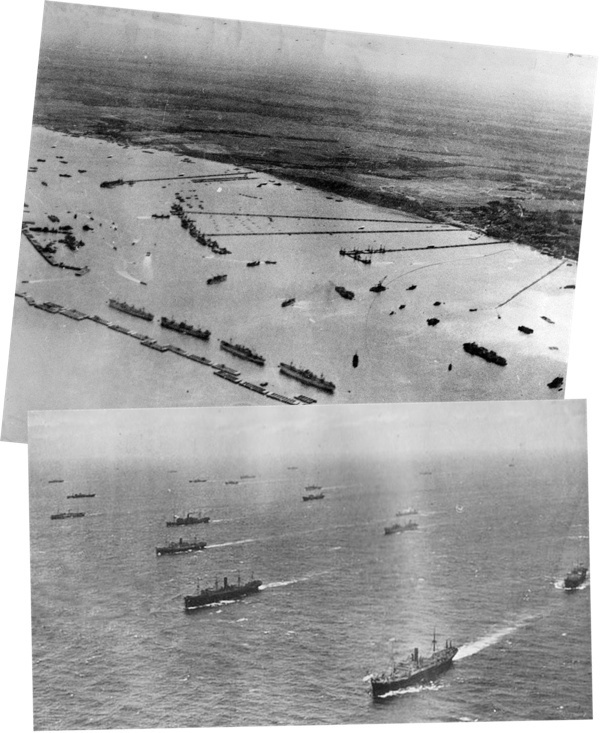 http://www.convoyweb.org.uk for details of Operation Neptune convoys. 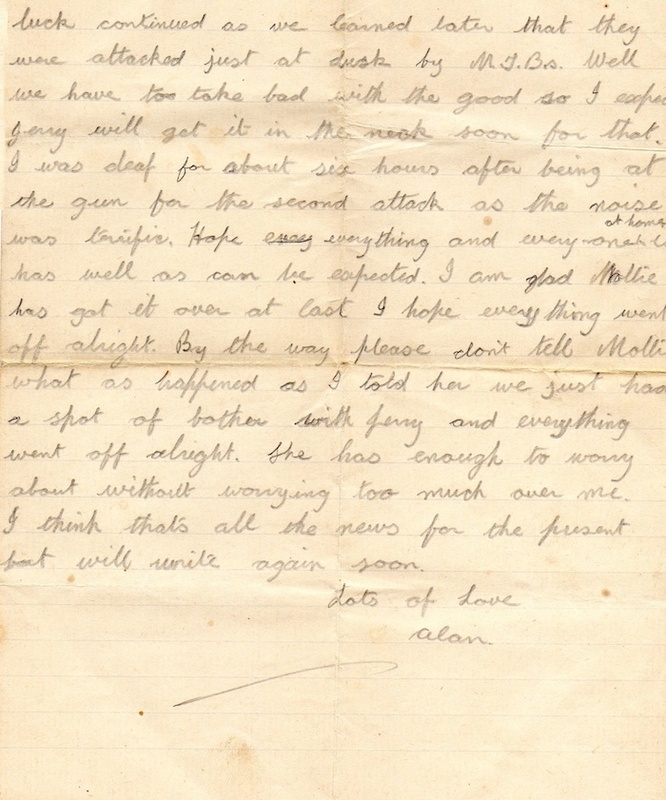 This is so very interesting, my father was on the Leisterbrook after WWII, probably around 1948. He had been in the RNVR during the war in the Atlantic arena and based in Lerwick,, Shetlands. He later went on to be Master of Errol Flynns Yacht Zaca. Thank you for posting these amazing photos. Glad you liked it Bonny. Looks like you could write an article on your Dad too or perhaps something on your Portslade past?